The Financial Report is attached. We still have not collected dues from many members. Please mail your check to Dave Weber at 10033 Cedar Shores. The fireworks display this year was amazing!! A recent e-mail was sent out across the lake asking folks to vote for one of two dates for the 2012 fireworks. It was close, but Friday the 29th won, with a rain date of July 6th. It was suggested that in the future, we might consider choosing a Saturday later in July as many folks have friends/family who cannot attend so close to the holiday. A big “Thank You” to Spraders On the Lake and to Patti Page, Brett Bonnivier, Matt Sprader and Tom & Pat Schwind who organized the fireworks fundraiser. They did such a GREAT job and raised $1500! Renee Brodie raised $65 with the bottle return on July 5th. Thanks Renee. Another letter has been sent to the neighbor at the entrance asking them to cut back their hedges. It is truly a hazard trying to turn left when exiting the subdivision. It was decided to keep this event. Sherry Woodbeck agreed to organize. It was also suggested that a mens’ night (a Texas hold 'em or poker night) be held at the Community Center. Craig and Jeremy will look into this as a second fundraiser for the Fireworks. What do you think? DOG OWNERS: Please keep your dogs on a leash when outdoors, no matter how small or friendly they may be. It's the law in Michigan! Don't forget to take the pooper scooper or baggie when you walk your dog or take it to the park. We've had many complaints about dogs running loose and owners who don’t pick up after their pets. Report strays to ANIMAL CONTROL (248) 391-4102. P.S. If your leashed dog can still get into your neighbors yard, please shorten the leash! It was decided that the leftover toys from past Christmas Bonfires would be donated to Toy’s for Tots. We’ve borrowed an extra blue trashcan for use in the park. It will be chained to the fence and emptied as needed. PLEASE USE IT! Thank you Frank and Kerri Wimmer. RCOC recently had some repairs made to our roads. Thank you Ernie Maier, Rick Morin and Val Brothers who called them repeatedly and helped point out problem areas (or pot holes). The rising and falling lake levels have been a big problem for many. We plan to invite someone from the Water Resource Commission to come to our Annual Meeting and discuss our concerns. We have been advised that the first treatment for weeds in the bays did not happened this year because the lake level was too high and it could cause damage to lawns and landscaping along the shore. There was a discussion about whether to keep the CIHA web-site. Sherry volunteered her son Adam Woodbeck to keep it updated (hope you’re not in trouble now, Sherry). It would be handy to keep updates, proposals, newsletters, rules and regulations etc on. What do you think? We are establishing a Public Access Committee that will be responsible for hounding the White Lake Supervisor (phone calls, letters etc..) and Township Board (letters and speaking in the public comment section of their meetings) to pass an Ordinance permitting the Township to enforce the rules at the public access site. Thereafter, we will circulate a petition to establish a special assessment district across the lake to pay for the monitoring the access site on weekends and Holidays between Memorial Day and Labor Day. The committee consists of: Craig Leonard, Larry Adams, Matt Slicker and Sherry Woodbeck. Maureen also invited the President from Golden Shores to join and he has accepted. They will also look into illegal docking and mooring on the lake by non waterfront owners. A copy of the No Wake Ordinance for our lake has been posted on our website and is being emailed with this Newsletter. All of the bays and canals on the lake and the Huron River access are NO WAKE at all times. 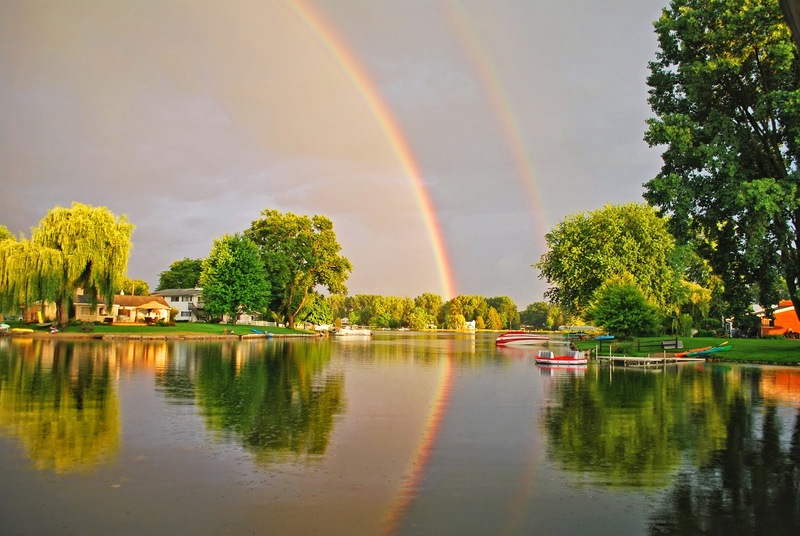 In addition, Michigan Boating Regulations require that all motorboats operate at a NO WAKE speed within 100 feet of swimmers, folks fishing, docks, rafts, and moored boats. The 2011 CIHA Directory will be published in the Fall. If you have a business or product you would like to promote, ad space is available for purchase. Please remember to support our local advertisers. Going to press soon, so please contact: Steven Cooper at 248-890-1890 or at sccoop@aol.com. Renee Brodie and Sherry Woodbeck agreed to collect cans and bottles after Labor Day and donate the money to the 2012 Fireworks. Details to follow. We are still missing many members email addresses. We send out important alerts, reminders, updates and this newsletter via email. Please send us an email so we can add you to our contact list: cedarislandhoa@hotmail.com. Also, if you know of a new neighbor, please let us know so we can welcome them. We have many things we are working on, and would like your opinions. If you can’t make a meeting and still want to comment, please let us know. We welcome comments and suggestions.